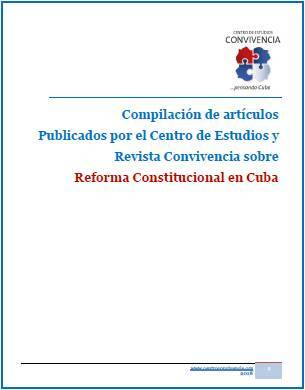 A new electoral law has been announced in Cuba. A new electoral process is supposed to begin. The relief of the President of the Council of State from his position is scheduled for February 2018. 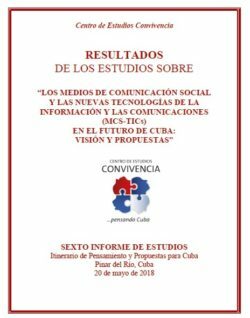 These announcements should be of interest to Cubans of both genders, but not just a passing interest out of curiosity, as if viewing situation abroad. We are all citizens, and therefore, we are all, or should be, protagonists of the events that guide the social and political life of our country. Moreover -and the following considerations may seem obvious to locals and foreigners alike- we are not members of the choir. In a republic the citizens are and should be the main protagonists. This is why we want to reflect on the legitimacy of elected officials, those that hold positions of responsibility. First of all, it is worthwhile to recall that in nations that aspire to live in a democracy, elected positions are nothing more than public service, and those elected receive a temporary charge to serve those same citizens, that is to say, the nation. That is why they are called ministers and ministries, words that come from the Latin minister, which means server or servant. These prospective public servants need, at least, to meet three requirements: honesty, competency and legitimacy. The first two belong to the scope of acquired qualities, and their personal conduct is what can and should demonstrate the worth of those up for election. The legitimacy of office holders is not inherent in the person, but rather it must come from others that validate their election and service, as well as their possible revocation. The office is a charge. The service is an accepted mission. Therefore, the key questions need to be: Who grants the assignment? Who commissioned the service? Who delegated the mission to be accomplished? Depending on the answers to these simple questions the degree of democracy existing in a given country or community can be ascertained. This is equivalent to asking: What degree of participation do citizens have in the elections of their public servants? As a long epic stage comes to an end, a responsible political stage should ensue; and we all know that politics is the search for the common good of the polis, the city, the nation, to the greatest degree. Cuba is at the moment at a junction between these two historical tracts. 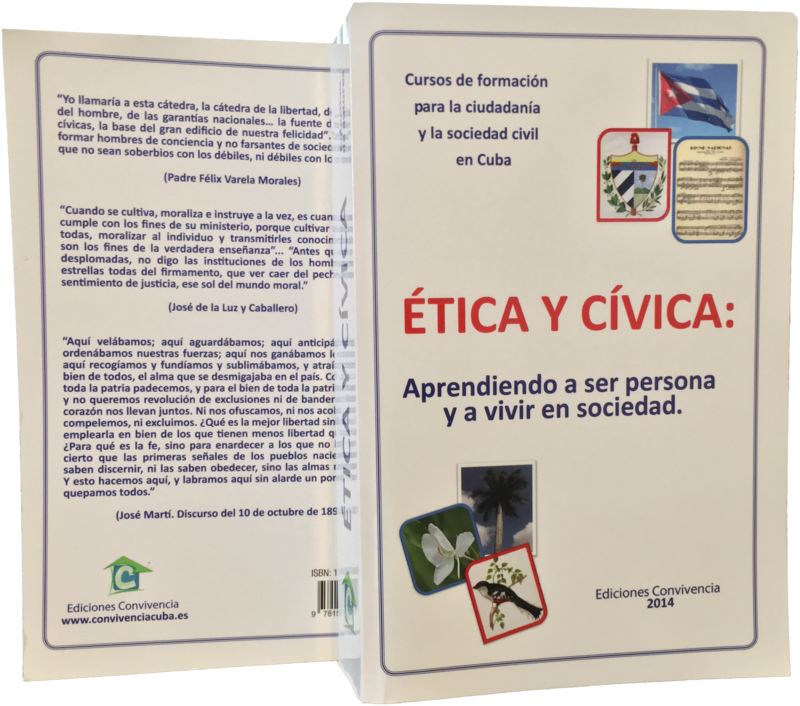 The spirit and the ethics of José Martí -well reflected in the Montecristi Manifesto- is at this time the light and civic inspiration that informs the peaceful changes that are necessary. It is our wish to travel peacefully and orderly towards that new stage, and it is a task that ought to involve all Cubans, regardless of what they think or where they live. Gradualness, coexistence, stability and the progress of the nation increase directly in proportion to the degree of democratic participation among its citizens. It is so simply because each one would be able to freely express what he or she thinks, would be able to responsibly participate in what he or she considers to be his or her contribution, and it would really achieve a constructive sense of belonging. Nobody can have a sense of belonging if he or she doesn’t belong. That is why it is of vital importance to stress the issue of the legitimacy of public office. It is proper not to confuse legality with legitimacy. The former is supplied by laws and decrees, the latter can only be given by the people exercising democracy. The search for the common good, holistic human development, and the material and spiritual progress of the nation, are the responsibility of all its citizens. The word citizen, in fact, (of course not in the contemptuous tone utilized sometimes in the language of the police in Cuba, but rather as was meant to be used during the French Revolution and is so understood in democracies around the world) means a person who has become aware and has taken responsibility of the sovereign power given to him or her in belonging to a republic. Therefore, in organizing a republican State, and one with a true participatory democracy, not just electoral, the sovereign is the people, and the people is the community of citizens in which power to speak, to elect, to transact, and to manage the destinies of the nation reside. This means that the legitimization of any election for a public office, including that of president, legislators, governors and mayors (or their peers) can only spring from the sovereign. 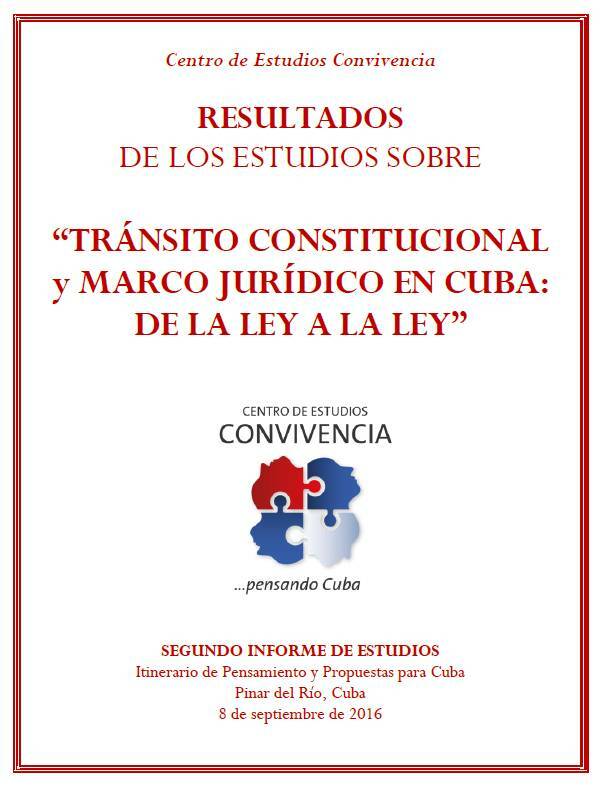 Cuba, if it were to wish to travel by the road map to a more political, more participative and more institutionalized phase, needs to seek as its foremost and highest priority item the legitimacy that can only be provided by citizens with their free, direct and secret votes in plural, transparent, competitive elections supervised by international observers. All office holders, including the president, need to be elected in a direct and secret manner by all Cubans having the right to vote. By the same token, the electors have the right to hold accountable all public servants, and not just the delegates holding the lowest elective positions. Citizen sovereignty should be freely exercised in questioning the performance of its servants or to oust them if they were not to fulfill the service they were charged to do. 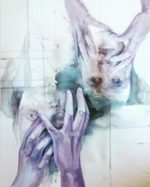 To seek and to obtain that universal and direct citizen legitimacy is and will be the highest guarantee of good governance, of the efficacy of governability, and, above all, of the stability, unity in diversity and incorporation of a free citizenry, aware and responsible for the management of the public good. Cuba will be the better for it. 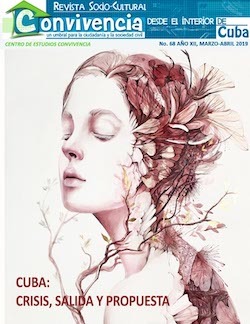 All of us Cubans would be more responsible for our destiny, and the younger ones would have a new motivation to come out of disconnectedness and of pamphleteering, opting to remain here to assume the reins of the homeland which has the duty to build them a national home, a Cuba House in which all of us may fit.